What do your morning commute, your coffee break and your Sunday afternoon all have in common? They all need a good book! Nothing beats turning the page of a new novel – one so compelling you just can't put it down! But with so many to choose from, it can be hard to decide. That's why we've teamed up with HarperCollins to bring you this season's most exciting new releases as part of Heart's Breakfast Book Club. Discover the new titles we love. Plus, each month you could win a signed copy of each book and £250 cash. Each month on Heart Breakfast, we'll have a different book choice recommended for you. 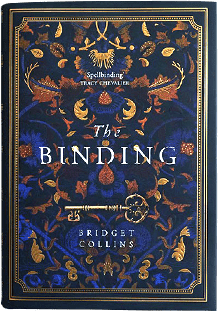 Check out this month's pick below and then enter our competition to win a signed copy and £250 cash – all thanks to HarperCollins. Seven guests. Seven secrets. One killer. Would you dare to sleep? All Anna wants is to sleep. But insomnia, night terrors and memories of that terrible night are making it impossible. In an attempt to escape her past, Anna takes a job at a hotel on a remote Scottish island. But when seven guests join her, what started as a retreat from the world turns into a deadly nightmare. Each of the guests has a secret, but one of them is lying. There is a murderer staying in the Bay View hotel – and they've got their sights set on Anna. This book is all about one moment that will change three women's lives forever. And it will keep you up all night. He will learn to hand-craft beautiful volumes, and within each he will capture something unique and extraordinary: a memory. If there's something you want to forget, he can help. If there's something you need to erase, he can assist. Your past will be stored safely in a book and you will never remember your secret, however terrible. In a vault under his mentor's workshop, row upon row of books – and memories – are meticulously stored and recorded. You could win a signed copy of C.L. 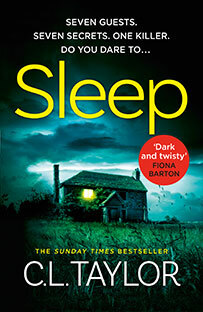 Taylor's hotly anticipated new psychological thriller Sleep, plus £250 cash. To be in with a chance to win, simply answer the question below before 23:59 on Sunday 28th April 2019. 18+. UK only. Ts and Cs apply. In the audio clip, who asks to stop at the service station? I would like to receive emails from HarperCollins Publishers containing news, offers and promotions relating to their books and authors.